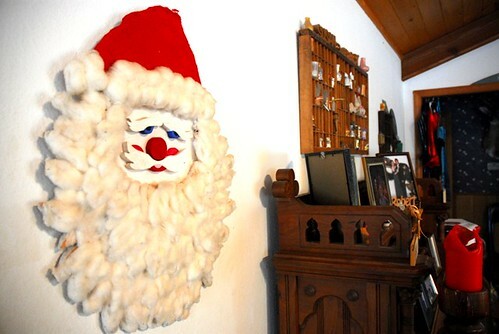 The Farr Place: Santa's still in the House! Santa's still in the House! Just when I thought I had Christmas all packed away, I look up and there's still a Santa on the wall. I have no idea how I missed it, but I guess he's going to have to stay "out" until next year! Men aren't perfect? Says who?